The Esmoriz Surf Camp is steps from the Beach, and has found the perfect combination of surfing, relaxing, and an inclusive community atmosphere. No wonder there's always a return customer in the group. Portugal is a place that is appearing more and more on the 'must see' list for travelers. Esmoriz is the kind of relaxed Portuguese town that makes you understand why. Esmoriz is in northern Portugal, just 25 km south of the captivating city of Porto. Don't think rugged coastline or inaccessible waves though. Instead, this part of Portugal is home to enormous sandy beaches with waves that range from the perfect beginner whitewater to advanced point breaks. 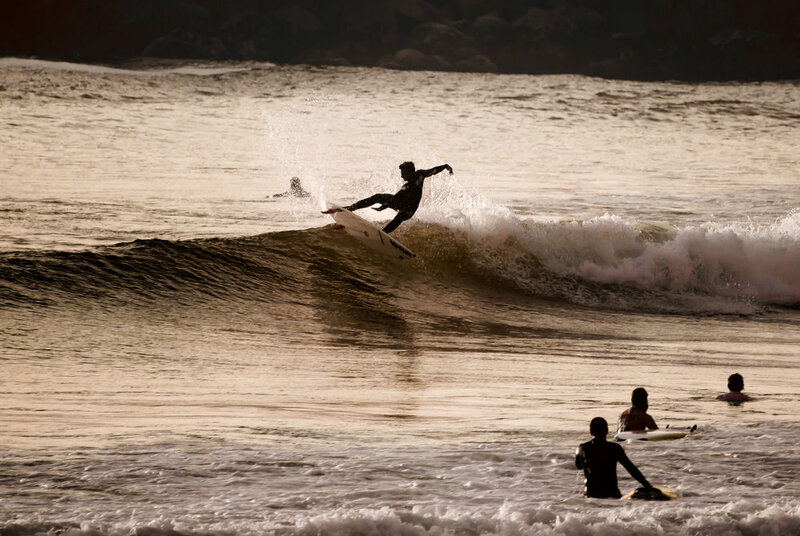 It is rare that you find a surfing region as uncrowded and ideal as the coastline around Porto and Esmoriz. Simply put, anyone -- surfer, non-surfer, young and old -- will enjoy Esmoriz. You'll receive an email to confirm your email subscription before we send you more information about our Portugal adventures. We hope to create rad stories and accomplish amazing goals together. You'll receive an email to confirm your subscription before we send you more information about our Portugal adventures. We hope to create life-changing stories with you in Portugal.